Instead of tropical waters, our tap water has many shortcomings from the point of view of the nutrients and trace elements that feed the plants, largely absent or subtracted at the time of purification in the waterworks. The lack of a single nutrient, however, has the power to stop the growth of plants, determining in some cases death (law of minimum Liebig). To ensure a healthy plant growth in the aquarium is therefore necessary bridge and complement the nutritional deficiencies found in tap water. Substances must relate to each other according to a specific pattern. Potassium is one of macronutrients and is essential for photosynthesis. For healthy growth and lush plant requires a regular dose of potassium. Potassium deficiency is manifested by the malformation of plants and yellowing of leaves. The phosphates and nitrogen are required in large quantities for sufficient growth of the plants. 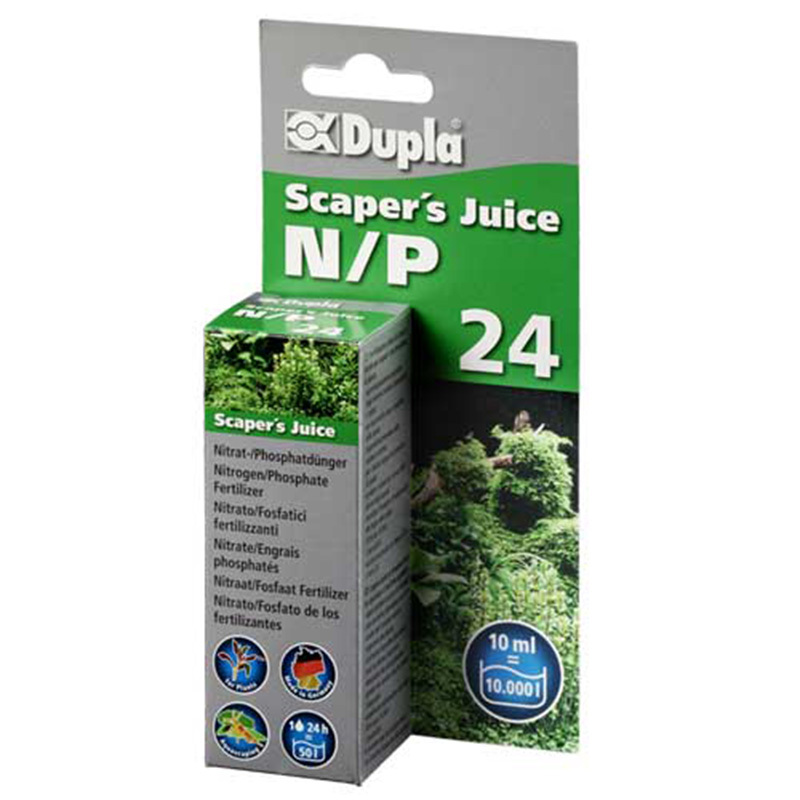 The primary nutrients highly active nitrogen and phosphates in N / P 24 are effective immediately, rebalance the possible lack of nutrients and promote a healthy and lush plant growth. 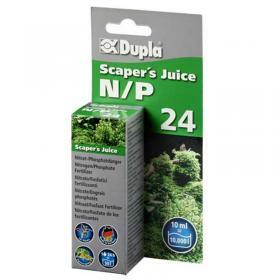 A drop of N / P 24 contains 16.5 mg of 1 mg of nitrates and phosphates.